Description: This radiant gathering of shiny 14k gold plated and channel set crystal circles creates an all time favorite Amabel piece. 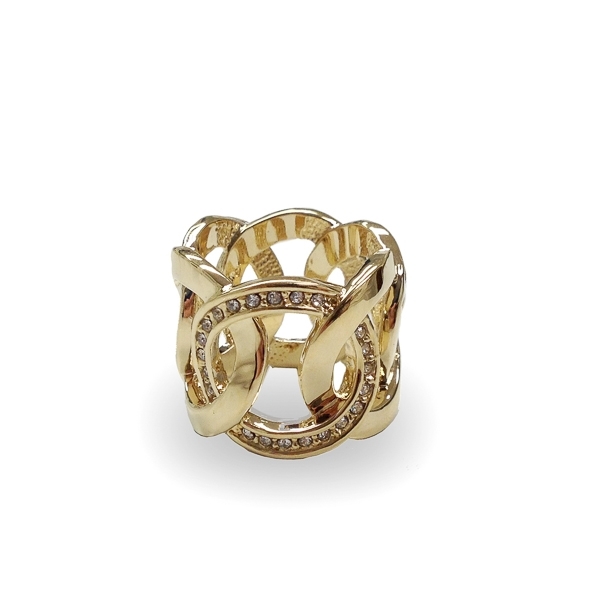 A chic and classy ring for any day of the week. Material and Measurements: 14K Gold Plated Base Metal, Crystals - Band Width 5/8"
Enter Quantity for R-I2003-YG to add to your shopping cart.